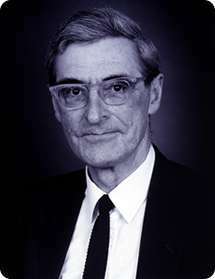 Jacques Heyman came up to Cambridge to read Maths in 1941 at the tender age of sixteen, having shown considerable promise at school. A second class pass after his first year convinced him he was 'no mathematician' so he switched to the Engineering Department in 1942 to study under Professor Inglis. He graduated in 1944, having been allowed an extra year of study because of the war. He was immediately drafted in to work on jet engines, but wanted to get back to working on structures. In 1946, Baker had an opening for a research assistant. Heyman recalls that it was an odd time for the university. Many veterans were coming back, and schoolboys were coming up. He found himself supervising people who were older than himself, and 'immensely older in experience'.